I am freaking out! My heart is racing, my chest is thumping, my belly is buzzing. Last night I check my list of attendees for my upcoming workshop. It jumped from sixteen to eighteen registrants. I freaked! I was literally scrambling around my kitchen screeching, “18,” “AHH!…18.” “I can’t fit eighteen.” My 10-month old puppy and 10-year old daughter are chasing behind me in frenzied excitement. My daughter is yelling, “mom this is good, your business is growing.” And my husband is sitting in the living room, rolling his eyes. He knows what I always forget. I pull this kind of sh*& all the time! Does anyone else have this experience or am I the only one? It goes something like this – I have a vision; I want to do something. I feel compelled to do something, create something, pull something together that involves people and factors outside my control, but then as the unveiling is about to happen, I freak. There are almost too many of “these” moments to even conjure the last one. Nonetheless, case in point, two and a half years ago, I spearhead a production of “Project Crash” at my high school. “Project Crash” is a mock car crash scene that educates students about the dangers of distracted and impaired driving. It involved making a short film to tell the story of the events leading up to the crash. Did I mention, “making a short film?” I know nothing about making a film. Acting, nope. Script writing, nada. Directing a film, got nothing. It also involved coordinating rehearsals with the teen actors and first responders to “act out” the response to the scene. Again, my experience with directing a play, very little (preschool and church pageants don’t really count). On the day of the actual event, we coordinated every homeroom (over 20 classes) to view the short film simultaneously – a technology miracle – and then calmly but quickly exit the building to witness the imminent emergency response. The event went well – it actually went off without a hitch. It was a mock crash scene that didn’t end up a complete train wreck. I was very pleased and the high school community was thrilled. Clearly I did not accomplish this alone – lots of others were involved. There were fabulous and talented teens, teachers, parents, community folks, volunteers – just really great people. My job was orchestrating the coming together of skill, talent, and good will. That’s really what I do; I orchestrate; I bring together; I convene and facilitate. 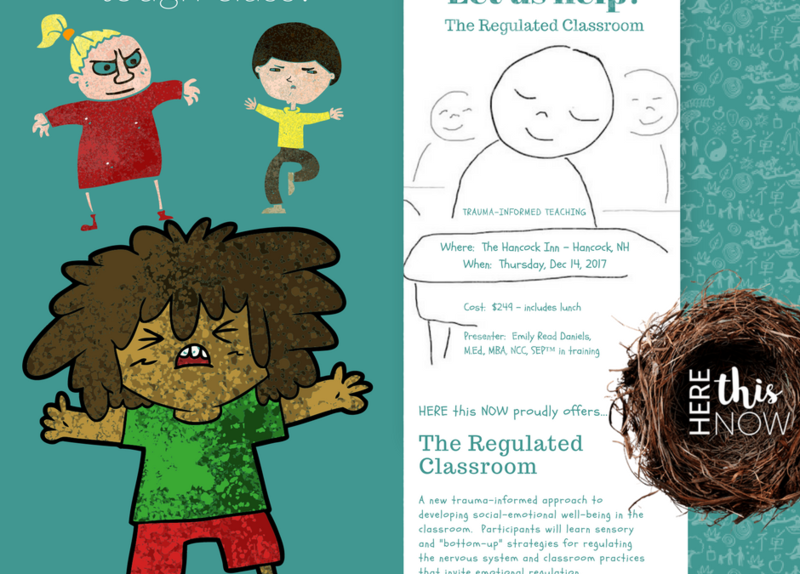 Tomorrow when I roll out, “The Regulated Classroom: ‘Bottom-Up’ Trauma-Informed Teaching,” nothing I present is my own. I borrowed and adapted ideas, theories, approaches and research from anywhere and everywhere. It is a reflection of my twenty years of study and experience “working in the trenches” with overwhelming challenges. I am just putting that all together and delivering it ED (Emily Daniels) style. I am orchestrating, bringing together ideas and strategies, convening others and facilitating learning.